Ferrari is ready to become an independent company, with potential major changes in its future. Few of us will ever get the chance to own a Ferrari, but next year investors will likely get a chance to own part of the company. Right now, Ferrari is under the ownership of Fiat Chrysler Automobiles (NYSE:FCAU), but Fiat Chrysler has announced plans to spin off the supercar maker midway through 2015. However, Ferrari on its own will be accountable to its own group of shareholders -- even if many of them are Fiat Chrysler shareholders who receive their shares during the spinoff. With this in mind, let's take a look at three big changes that could happen at Ferrari as soon as next year. Ferrari has always been developing new models, but has pretty much stayed within the sportscar market. Although some Ferraris have had backseats, this is about as far as the supercar maker has gone. Ferrari 458 Italia. Source: Ferrari. It has been a long-running rumor that Ferrari will produce a four-door sedan or an SUV to broaden its product base; however, such vehicles have failed to materialize. In early October, outgoing Ferrari president Luca di Montezemolo and Ferrari and Fiat Chrysler head Sergio Marchionne both said Ferrari will continue as a sportscar maker and will not expand into four-door sedans and SUVs. Other premium automotive companies have taken a different approach, searching for greater sales in larger vehicles. At Porsche, part of Volkswagen Group AG, the Porsche Cayenne SUV sold about the same number of units as the Porsche 911, Boxster, and Cayman combined for the year 2013. Even electric automaker Tesla Motors sees value in moving toward SUVs. Despite the electric automaker's sporty image, Tesla will be producing the Model X SUV next rather than launching a sportscar to replace the out-of-production Tesla Roadster. By making this decision, Ferrari appears to be prioritizing long-term brand-image preservation over a need to boost near-term profits with sedans and SUVs. But as Ferrari becomes owned by its own group of shareholders, these investors may press harder for Ferrari to follow the paths of other premium automakers with more profit-boosting models. At the same time, Sergio Marchionne has indicated that he will remain Ferrari chairman, making any shareholder-organized push for more models an uphill battle. While the possibility of Ferrari producing a vehicle with four doors somewhere in the future cannot be ruled out, the automaker looks poised to continue producing exclusively top-grade sportscars. Most major automakers are demand-constrained, meaning they could produce more vehicles but their maximum production levels exceed the number of vehicles the company could profitably sell. Tesla Motors is one of the few automakers that claims to be production-constrained, in that it cannot produce vehicles fast enough to meet demand. But Ferrari falls into neither of these categories, as it keeps production low on purpose to preserve exclusivity in the Ferrari brand. However, this practice may change once Marchionne has more time in the driver's seat and the automaker gets its own set of shareholders to please. While Ferrari's outgoing president kept production at 7,000 units per year, Marchionne has reportedly increased this to 7,200 units per year. Earlier reports stated that Marchionne was looking to move production as high as 10,000 units per year, but in a more recent press conference he indicated he was satisfied with production levels where they are for now. However, this does raise the question of whether production increases have just been delayed; after all, Marchionne has discussed production increases in the past and there is a growing demand for Ferrari vehicles. At this point, I would expect modest increases in Ferrari production over the long term, but this is definitely an area investors should keep an eye on. When people think of Ferrari, they tend to think of super-expensive cars, and this is something the automaker may look to capitalize on. By having such an exclusive brand of premium products, Ferrari could expand in the luxury goods segment with products for people who love Ferrari but can't afford its cars. In fact, the sale of luxury goods would be a good reason that Ferrari would be willing to sacrifice potential profits otherwise obtained through new models or higher production for the purpose of preserving the brand's image. Among those looking at this potential opportunity for Ferrari is Morgan Stanley analyst Adam Jonas. While it's no guarantee the automaker will follow this path, having Wall Street analysts already looking at it could further push Ferrari in this direction. As Ferrari transitions from its close ties with Fiat Chrysler to becoming a publicly traded company, it will face direct pressure from profit-seeking shareholders like it never has before. Among the things these shareholders may push for are new types of vehicles and higher production rates. While the former is less likely, the latter could take place gradually in keeping with growing demand. 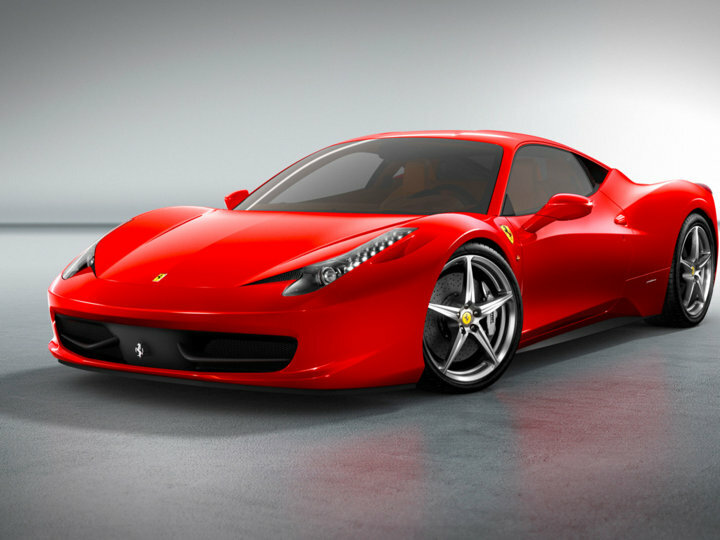 With Ferrari looking to preserve brand exclusivity and increase revenue at the same time, investors should keep an eye on whether the automaker expands its reach in luxury goods and branded products. As the iconic Ferrari brand becomes an independent company, all eyes of the automotive world will be watching to see what the Italian supercar maker does next.